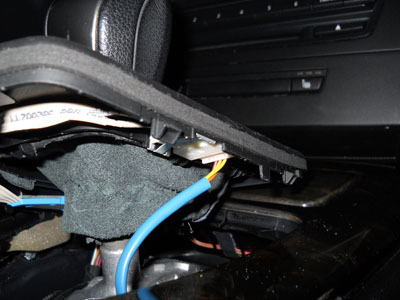 Mounting a remote level control knob for your amplifer can be annoying. 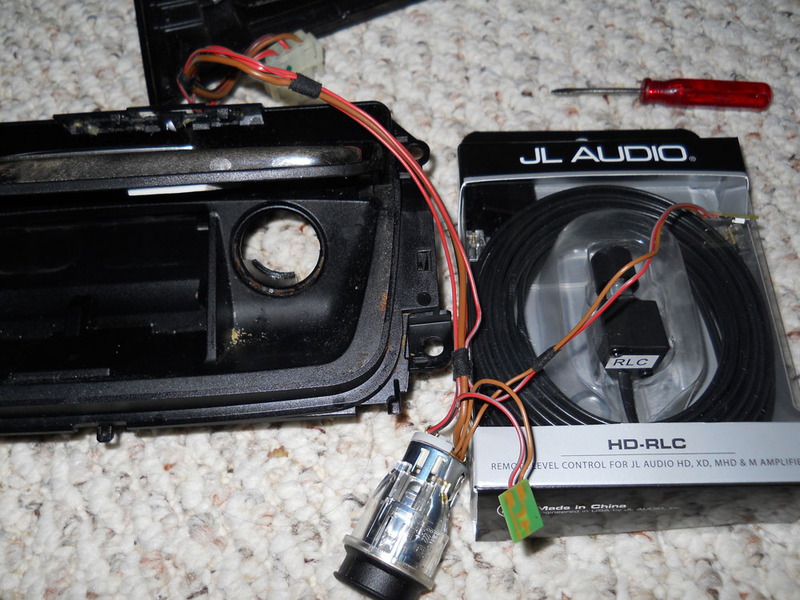 This how-to will show you how to hide a JL Audio HD-RLC by mounting it in your ashtray''s cigarette lighter. 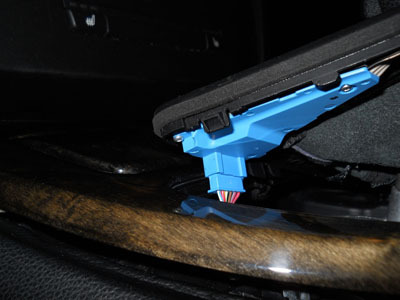 Some steps might be slightly different for manual transmisions and cars without iDrive, but you should still be able to follow along. To get started you'll need to clean out the ashtray. The easiest way is to just pull it out and set it aside. 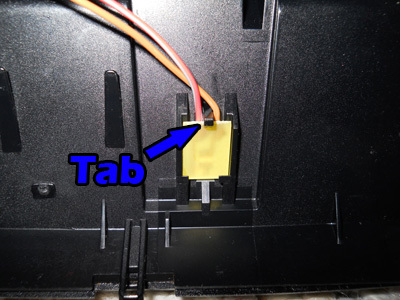 Next, get your trim panel tool and work around the shift boot panel. It should pop up pretty easily. Putting it in Neutral makes things easier. There will be an electrical connection, with a rather short wire, on the front left side. Go ahead and disconnect this. 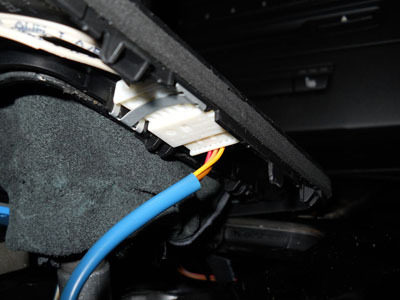 There will be another electrical connection, with a longer wire, on the front right side. Disconnect this one too. The shift boot should lift up now. You won't be able to, or need to, completely remove it. 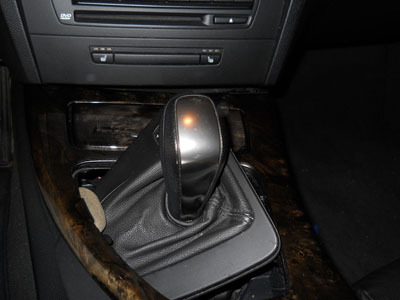 Next you'll start working the center trim piece up. I found the easiest spot to get started is just in front of the center console. Once the center trim is loose, you'll need to disconnect this electrial connection at the rear of the panel, near the center console. 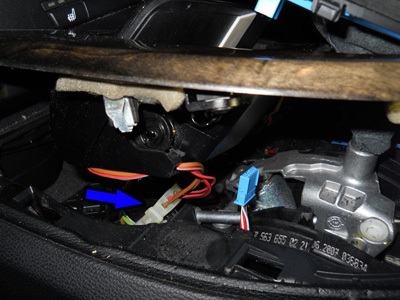 The last electrical connection is at the front, for the ashtray lighting and cigarette lighter. With the last electrical connection disconnected, you can remove the panel. 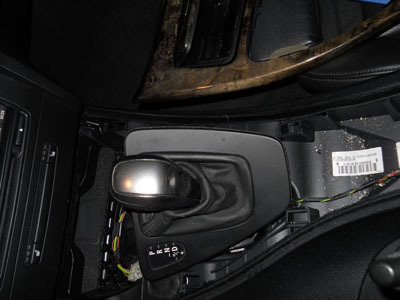 The shift boot panel can be turned and slipped through hole it left in the panel. 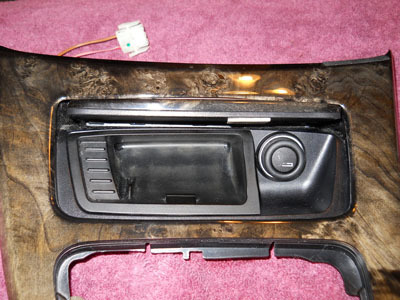 Once you have the panel off you can clean out any dirt and grime under it. Get the panel somewhere where you can work on it. This will need to be cleaned up too...yuck. We'll be removing this wiring, and the cigarette lighter, in order to repace it with our remote level control. In order to remove the ashtray assembly from the center panel, two T-10 screws will need to be removed from both the left and right side of the ashtray assembly. 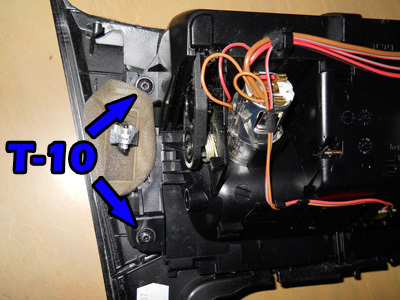 The ashtray assembly should lift free after removing the screws. Next you'll need to remove the LEDs. The first is in the middle of the assembly. To remove it, gently pull up on the board while genetly pulling back on the retaining tab. Be careful not to break either of them. The second LED is beside the cigarette lighter. This one will come out the same way. 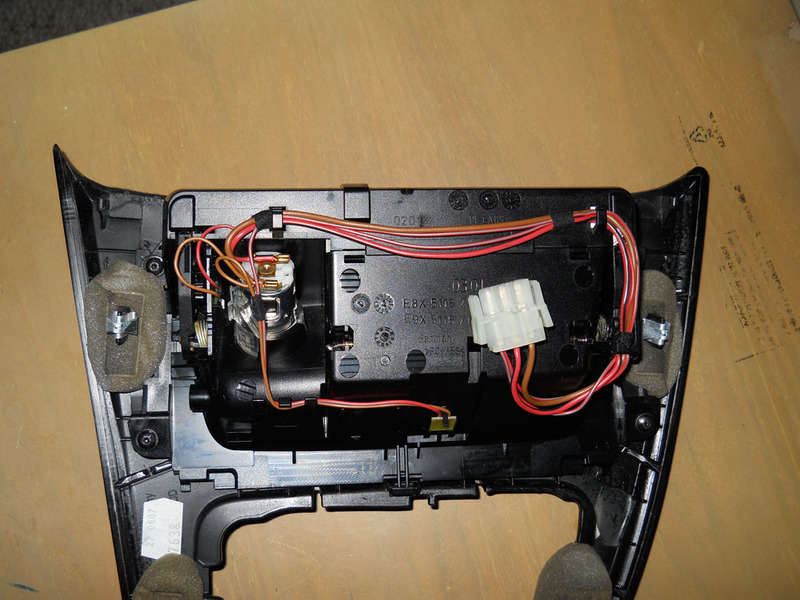 Be careful and take your time, so as not to break the LED board or the retaining clip. 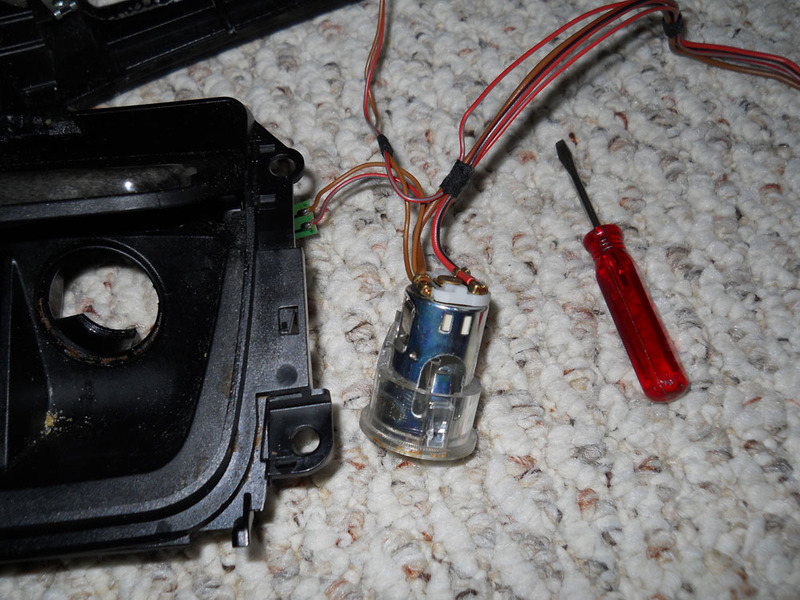 Once both LEDs are free, you'll need to carefully work the cigarette lighter assembly out. There are a few small plastic retaining clips that you might need to grind down a bit. 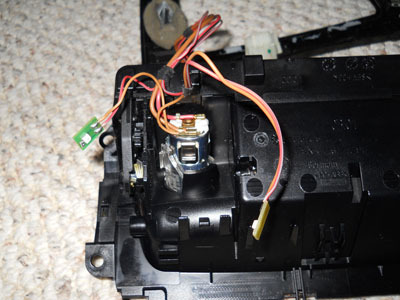 Don't take off too much, or the assembly won't stay in place when you put it back. The assembly needs to be pushed out the front from the back. This is what it should look like once you have it out. And here's the knob we're going to be hiding in the cigarette lighter. Now we start getting to the point of no return. I don't smoke, so I don't care...but if you care, you'll probably have to replace the entire ashtray assembly to return to stock if you keep going. That said, you'll need to get the cigarette lighter knob out of it's holder by bending these metal tabs. 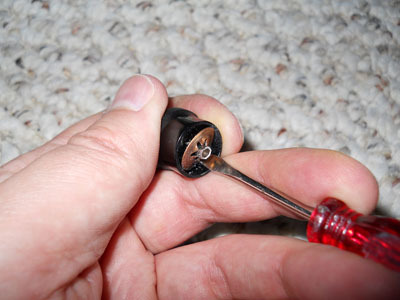 Next you'll need to get the metal shell off of the knob by bending similar tabs. Once you have the knob disassembled to this point, the middle piece will need to be cut down. You can use a grinding wheel or some tin snips, but we just need the knob part of the middle piece. Keep the black plastic trim piece too, though. 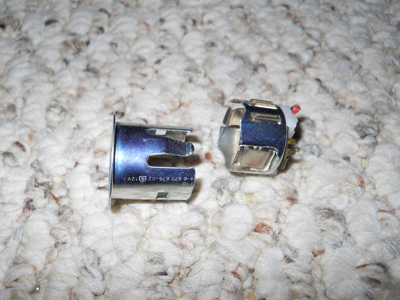 After you cut down the knob, pry out the clip from it, and then grind down the remaining metal inside of it. You should now have, from left to right, the RLC knob, the cut down cigarette lighter knob, and the cigarette lighter knob trim piece. 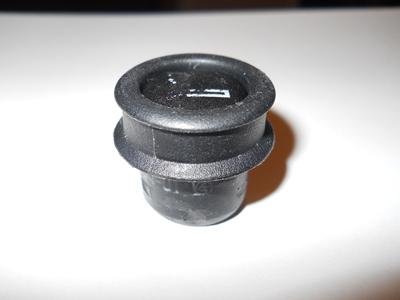 You can see I've already done some grinding on the RLC knob...this is so it will fit inside the cigarette lighter knob. 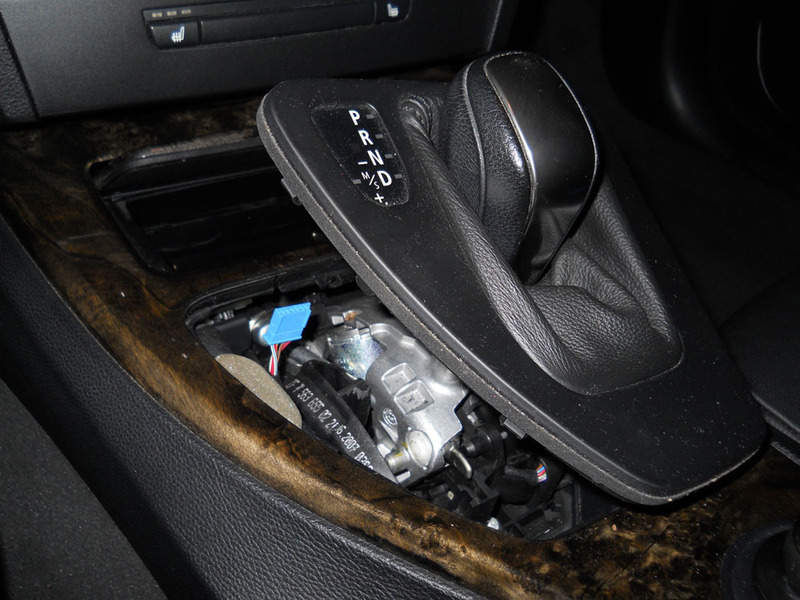 Grind down the outside of the RLC knob, and the inside of the cigarette lighter knob, until the two fit together snugly. Once you have them fitting together snugly, you'll need to bond them together. 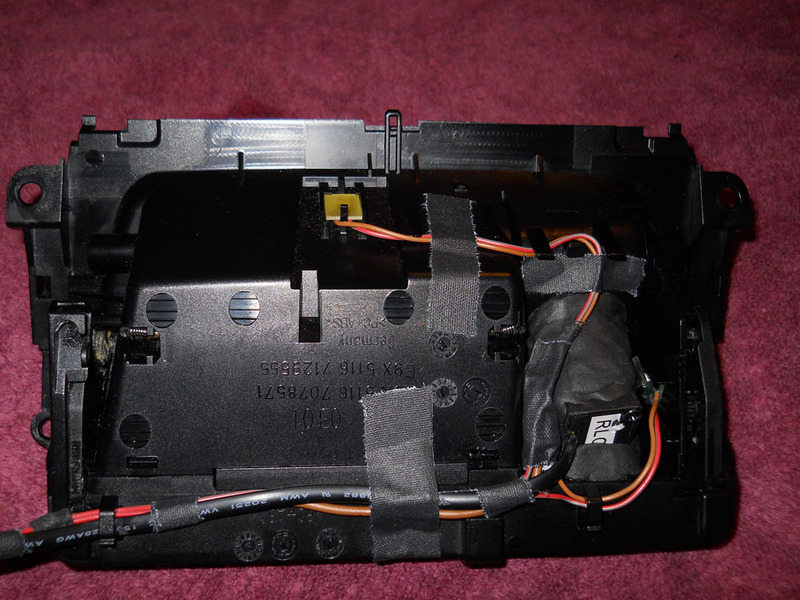 I used Sugru for this. 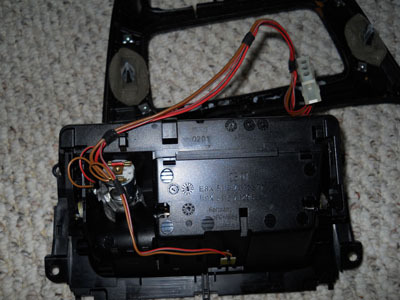 While that dries, you can clip the wires on the cigarette lighter, and cut the cage in half. 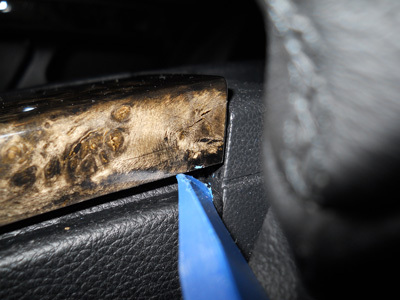 Once you have the cage cut, and any sharp edges ground down, slip the front part into the cigarette lighter hole in the ashtray, from the front. The cigarette lighter trim piece fits snugly into this cage. 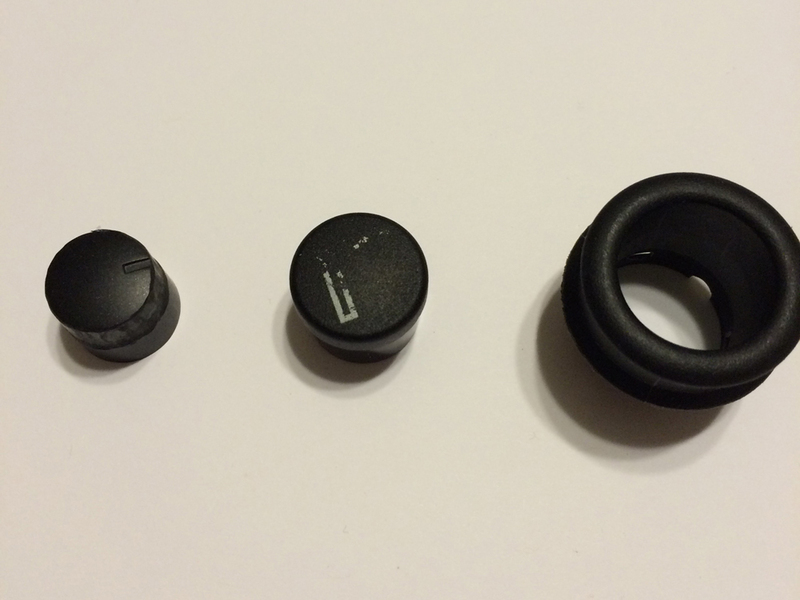 Now you can get the RLC test fit so you can make your knob. 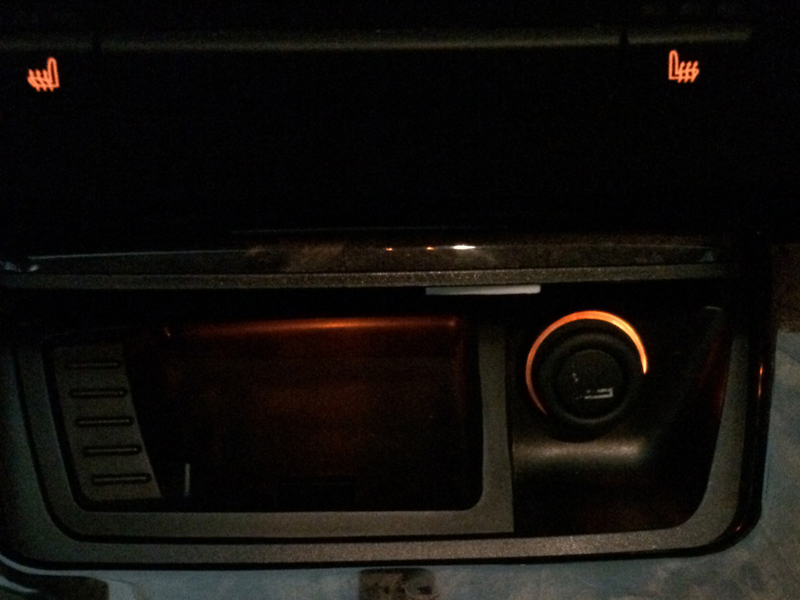 You can check from the front until you get the knob centered. Now you need to get your knob assembly bonded inside the trim piece. With the RLC in place, you can test fit everything to ensure you get the knob assembly the proper depth inside the trim piece. Make sure the sides of your assembled knob are smooth so it operates without binding. Once the assembled knob is dry/cured, you can start mounting the RLC. First, hold it in place with a bit of Sugru, or whatever bonding agent you're using. 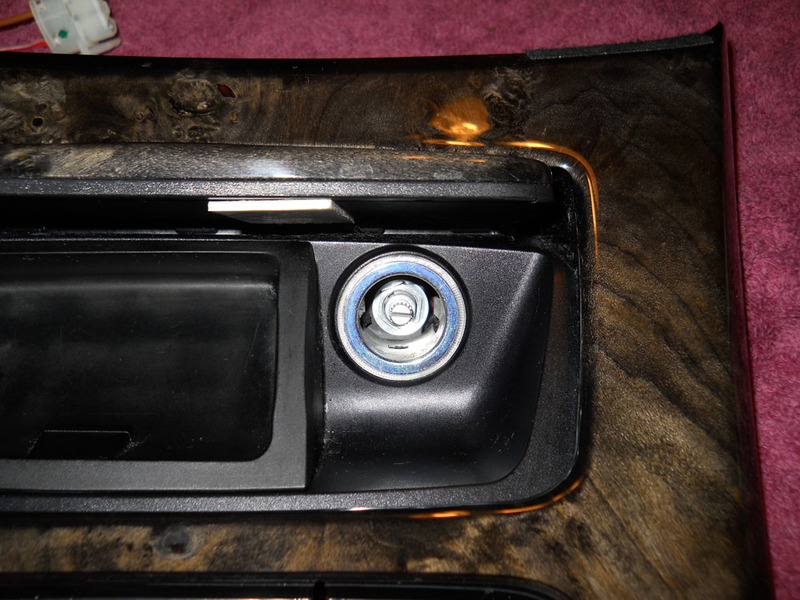 Get your assembled knob in place to center the RLC. 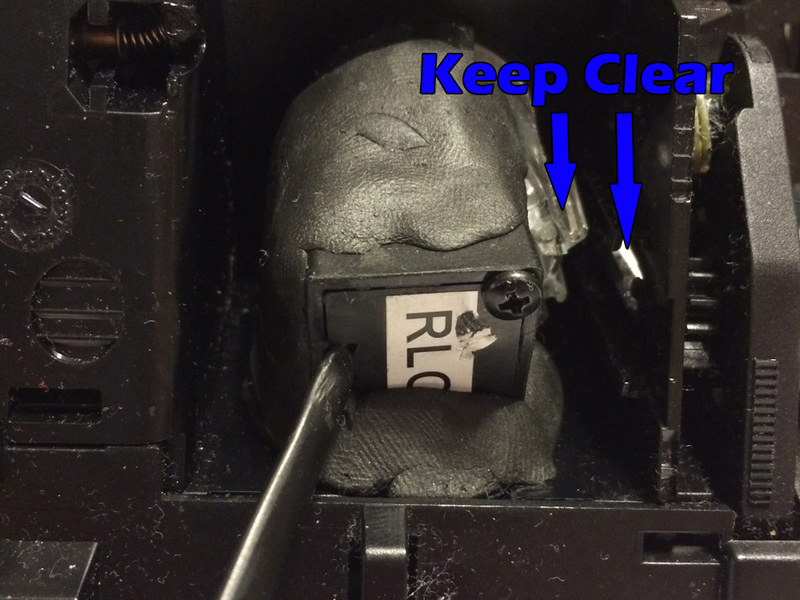 Apply enough Sugru to keep the RLC in place, but be sure to keep the area where the LED goes clear. 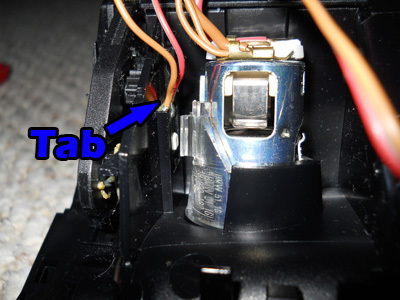 It shines into the clear plastic to light up the trim ring, so keep that clear too. Once everything is in place and dry/cured, you can re-install the LEDs and route your wires. 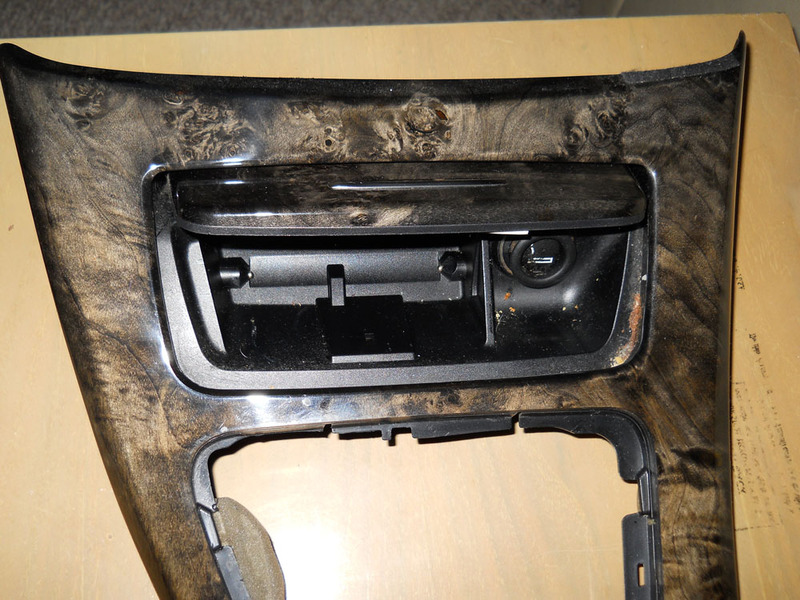 Next you'll need to mount the ashtray assembly back into the center trim panel. Back in the car, the first wires to connect are the ones at the front, by the ashtray. If you haven't already run the RLC wire from your amp to this area, I guess this is a good time to do that. 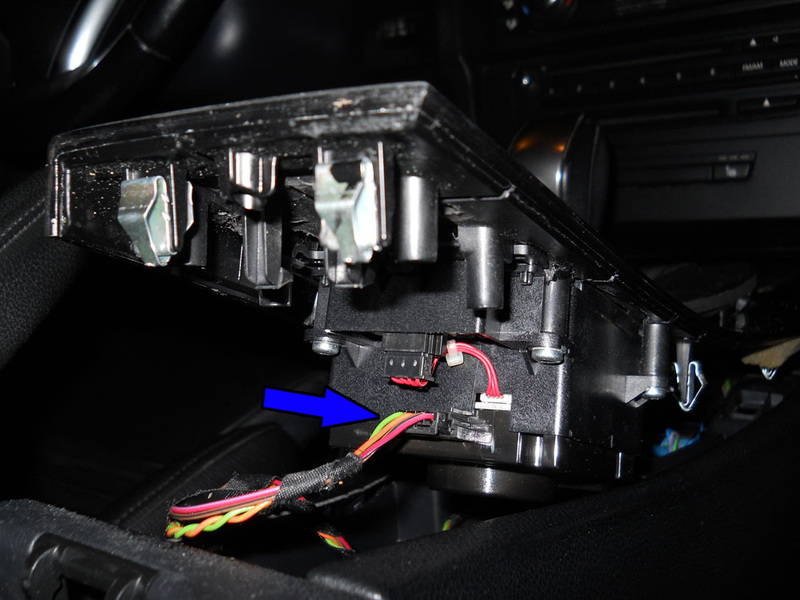 Both of these connectors will tuck into this small area when everything is back in place. 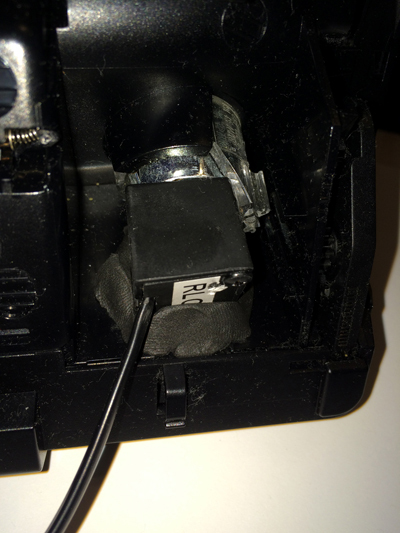 Next get the two shifter connections hooked back up, starting with the one with the longer connector. 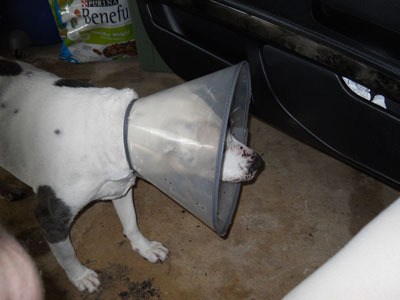 Pat, and then shoo away, any curious lamp dogs. 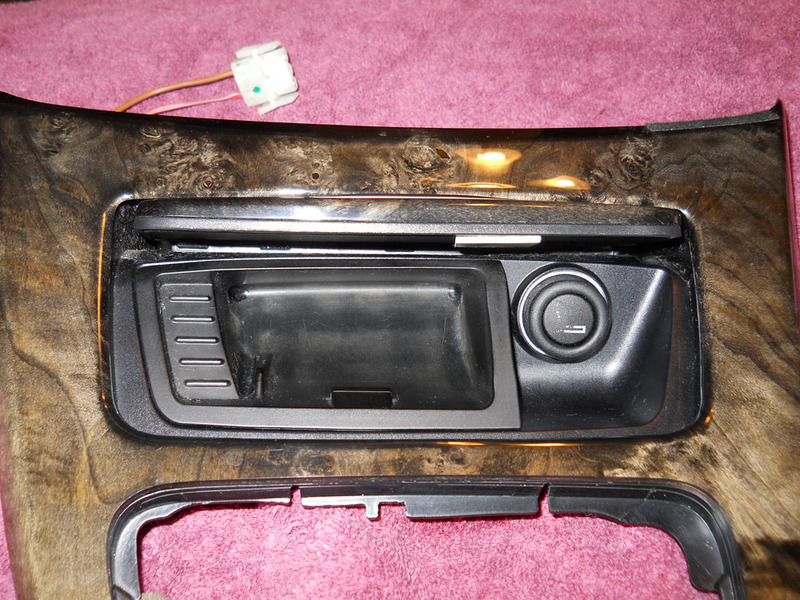 Getting back to the car, hook up the electrical connector at the rear of the trim panel, and then get the panels snapped back into place. 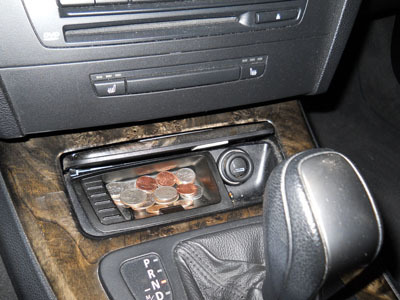 Your cigarette lighter should now look something like this. And something like this with the lights on. And that's all she wrote; enjoy your new stealth-mode RLC. 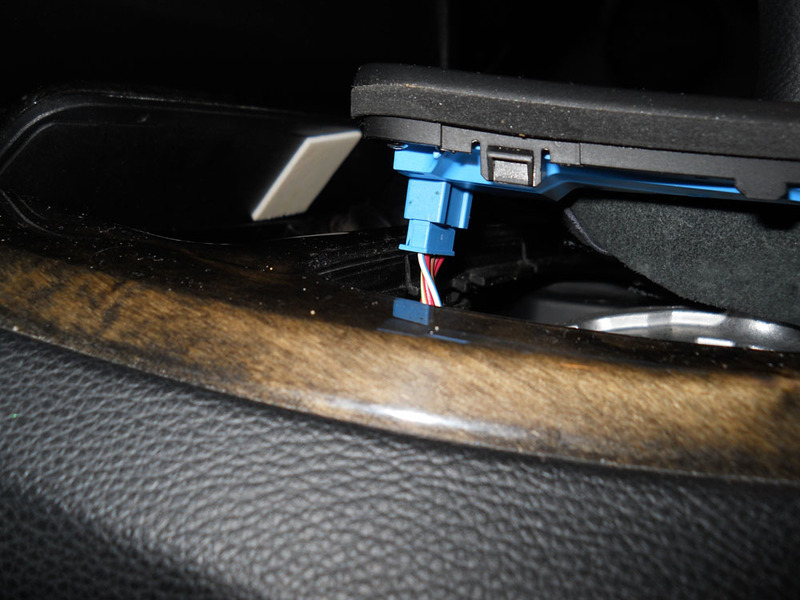 [b]Mounting a JL Audio HD-RLC Remote Level Control in an E92 BMW 335i Ashtray Cigarette Lighter[/b] Article By [url=http://georgebelton.com]George Belton[/url] Mounting a remote level control knob for your amplifer can be annoying. This how-to will show you how to hide a JL Audio HD-RLC by mounting it in your ashtray's cigarette lighter. Some steps might be slightly different for manual transmisions and cars without iDrive, but you should still be able to follow along. [b]Here are the tools you will need:[/b] - Trim panel removal tools - Small flat head screwdriver - T-10 Torx bit - Dremel with cutoff and grinding bits - Wire cutters/strippers - Soldering Iron & heatshrink tubing, or crimp-on splice - Putty, fiberglass, or some other mounting compound - Paper/fabric tape - Patience To get started you'll need to clean out the ashtray. The easiest way is to just pull it out and set it aside. 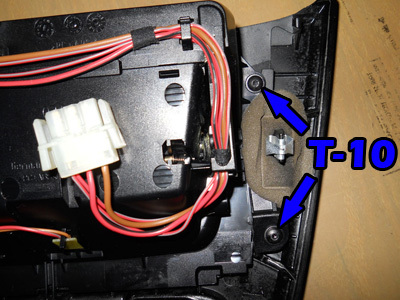 [img]http://georgebelton.com/335i.tech/ashtray/Ashtray_0001_th.jpg[/img] Next, get your trim panel tool and work around the shift boot panel. It should pop up pretty easily. Putting it in Neutral makes things easier. [img]http://georgebelton.com/335i.tech/ashtray/Ashtray_0002_th.jpg[/img] There will be an electrical connection, with a rather short wire, on the front left side. Go ahead and disconnect this. [img]http://georgebelton.com/335i.tech/ashtray/Ashtray_0003_th.jpg[/img] There will be another electrical connection, with a longer wire, on the front right side. Disconnect this one too. [img]http://georgebelton.com/335i.tech/ashtray/Ashtray_0004_th.jpg[/img] The shift boot should lift up now. You won't be able to, or need to, completely remove it. [img]http://georgebelton.com/335i.tech/ashtray/Ashtray_0005_th.jpg[/img] Next you'll start working the center trim piece up. I found the easiest spot to get started is just in front of the center console. 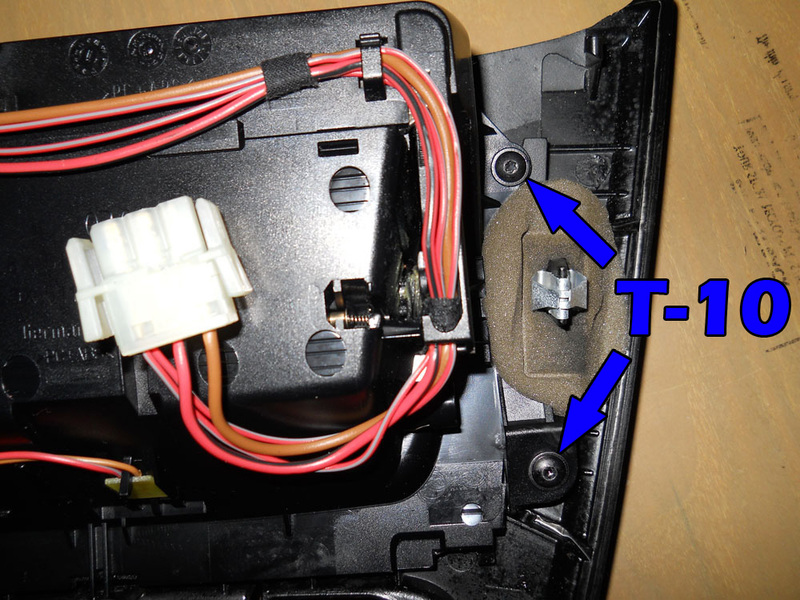 [img]http://georgebelton.com/335i.tech/ashtray/Ashtray_0006_th.jpg[/img] Once the center trim is loose, you'll need to disconnect this electrial connection at the rear of the panel, near the center console. 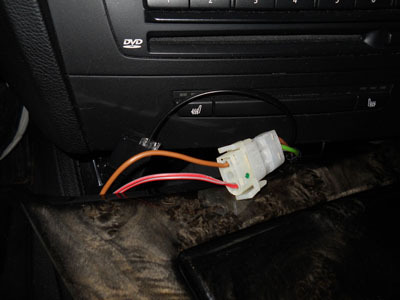 [img]http://georgebelton.com/335i.tech/ashtray/Ashtray_0007_th.jpg[/img] The last electrical connection is at the front, for the ashtray lighting and cigarette lighter. [img]http://georgebelton.com/335i.tech/ashtray/Ashtray_0008_th.jpg[/img] With the last electrical connection disconnected, you can remove the panel. The shift boot panel can be turned and slipped through hole it left in the panel. [img]http://georgebelton.com/335i.tech/ashtray/Ashtray_0009_th.jpg[/img] Once you have the panel off you can clean out any dirt and grime under it. [img]http://georgebelton.com/335i.tech/ashtray/Ashtray_0010_th.jpg[/img] Get the panel somewhere where you can work on it. This will need to be cleaned up too...yuck. [img]http://georgebelton.com/335i.tech/ashtray/Ashtray_0011_th.jpg[/img] We'll be removing this wiring, and the cigarette lighter, in order to repace it with our remote level control. [img]http://georgebelton.com/335i.tech/ashtray/Ashtray_0012_th.jpg[/img] In order to remove the ashtray assembly from the center panel, two T-10 screws will need to be removed from both the left and right side of the ashtray assembly. [img]http://georgebelton.com/335i.tech/ashtray/Ashtray_0013_th.jpg[/img][img]http://georgebelton.com/335i.tech/ashtray/Ashtray_0014_th.jpg[/img] The ashtray assembly should lift free after removing the screws. [img]http://georgebelton.com/335i.tech/ashtray/Ashtray_0015_th.jpg[/img] Next you'll need to remove the LEDs. The first is in the middle of the assembly. To remove it, gently pull up on the board while genetly pulling back on the retaining tab. Be careful not to break either of them. 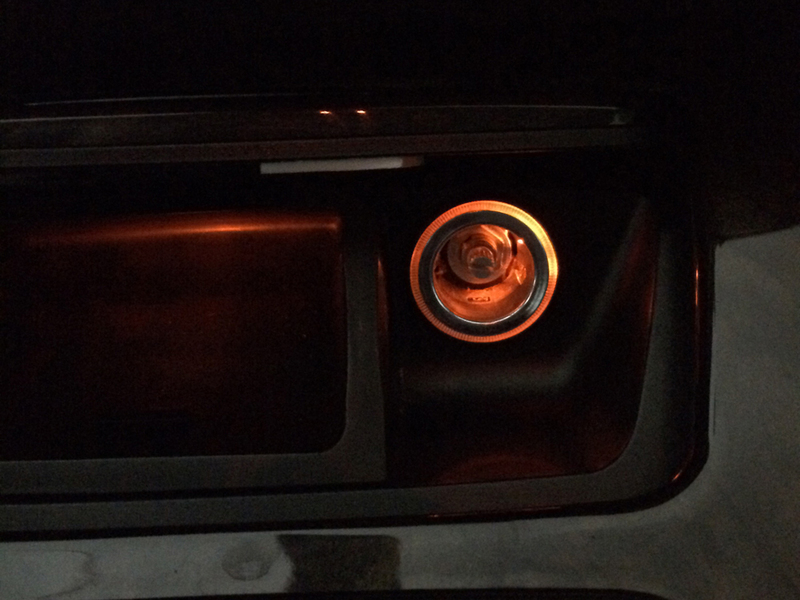 [img]http://georgebelton.com/335i.tech/ashtray/Ashtray_0016_th.jpg[/img] The second LED is beside the cigarette lighter. This one will come out the same way. 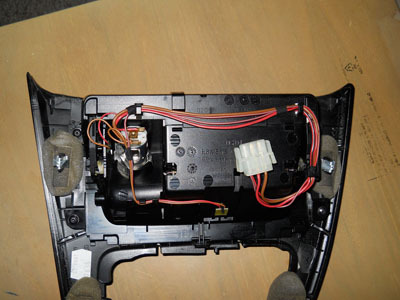 Be careful and take your time, so as not to break the LED board or the retaining clip. 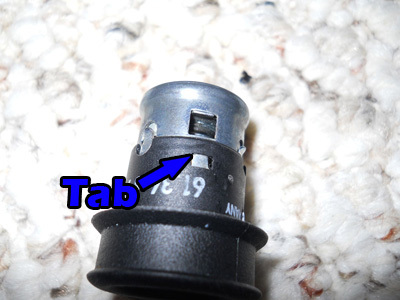 [img]http://georgebelton.com/335i.tech/ashtray/Ashtray_0017_th.jpg[/img] Once both LEDs are free, you'll need to carefully work the cigarette lighter assembly out. 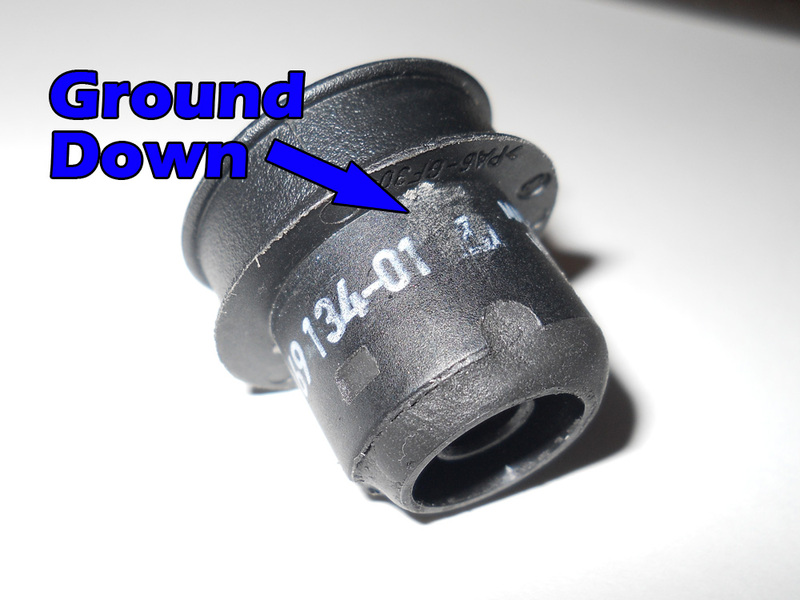 There are a few small plastic retaining clips that you might need to grind down a bit. 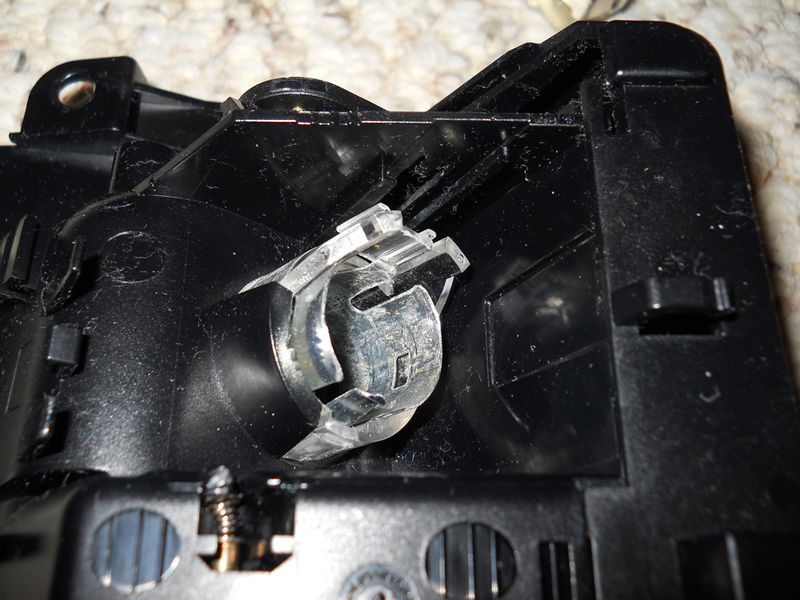 Don't take off too much, or the assembly won't stay in place when you put it back. The assembly needs to be pushed out the front from the back. [img]http://georgebelton.com/335i.tech/ashtray/Ashtray_0018_th.jpg[/img] This is what it should look like once you have it out. 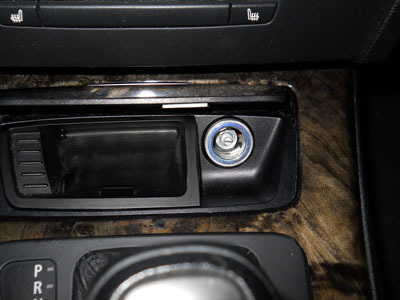 [img]http://georgebelton.com/335i.tech/ashtray/Ashtray_0019_th.jpg[/img] And here's the knob we're going to be hiding in the cigarette lighter. [img]http://georgebelton.com/335i.tech/ashtray/Ashtray_0020_th.jpg[/img] [b]Now we start getting to the point of no return. I don't smoke, so I don't care...but if you care, you'll probably have to replace the entire ashtray assembly to return to stock if you keep going. [/b] That said, you'll need to get the cigarette lighter knob out of it's holder by bending these metal tabs. 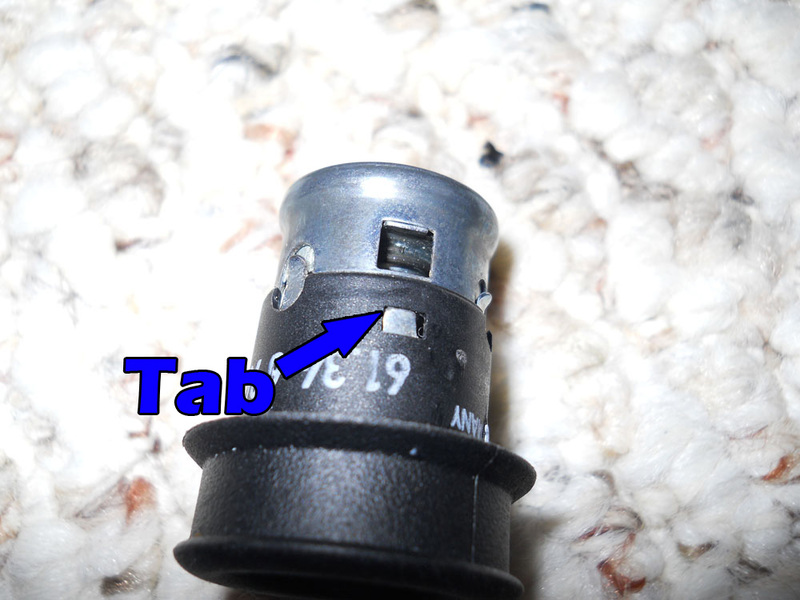 [img]http://georgebelton.com/335i.tech/ashtray/Ashtray_0021_th.jpg[/img] Next you'll need to get the metal shell off of the knob by bending similar tabs. 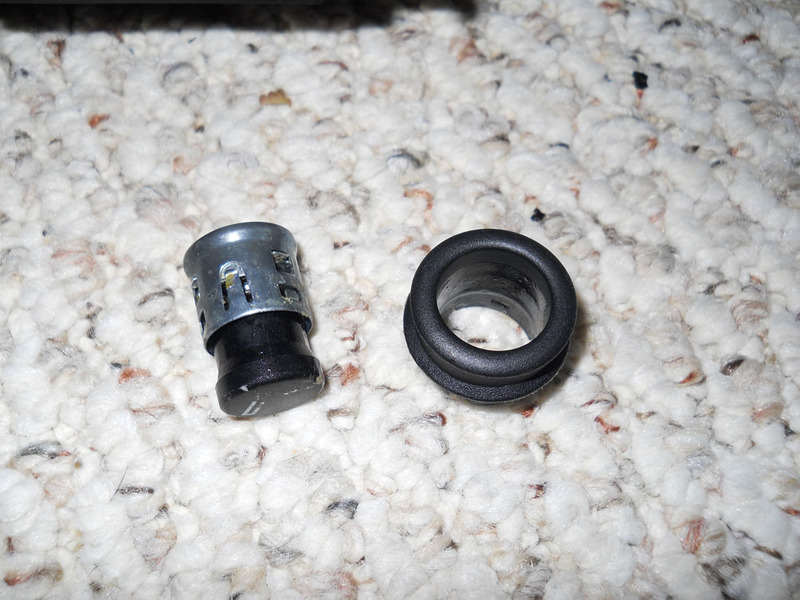 [img]http://georgebelton.com/335i.tech/ashtray/Ashtray_0022_th.jpg[/img] Once you have the knob disassembled to this point, the middle piece will need to be cut down. You can use a grinding wheel or some tin snips, but we just need the knob part of the middle piece. 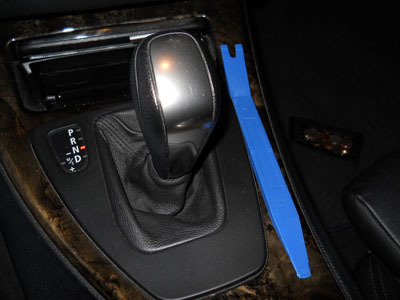 Keep the black plastic trim piece too, though. [img]http://georgebelton.com/335i.tech/ashtray/Ashtray_0023_th.jpg[/img] After you cut down the knob, pry out the clip from it, and then grind down the remaining metal inside of it. [img]http://georgebelton.com/335i.tech/ashtray/Ashtray_0024_th.jpg[/img] You should now have, from left to right, the RLC knob, the cut down cigarette lighter knob, and the cigarette lighter knob trim piece. You can see I've already done some grinding on the RLC knob...this is so it will fit inside the cigarette lighter knob. 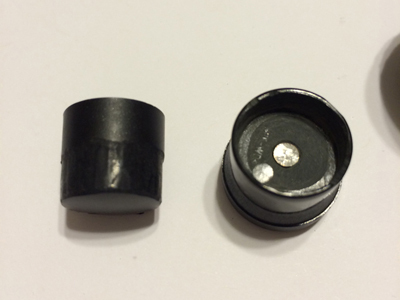 [img]http://georgebelton.com/335i.tech/ashtray/Ashtray_0025_th.jpg[/img] Grind down the outside of the RLC knob, and the inside of the cigarette lighter knob, until the two fit together snugly. [img]http://georgebelton.com/335i.tech/ashtray/Ashtray_0026_th.jpg[/img] Once you have them fitting together snugly, you'll need to bond them together. 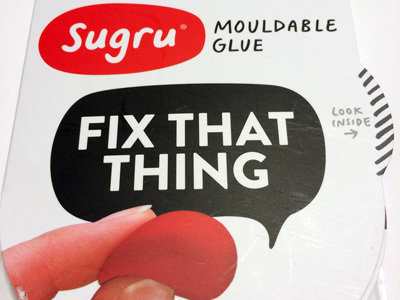 I used [url=https://sugru.com/]Sugru[/url] for this. [img]http://georgebelton.com/335i.tech/ashtray/Ashtray_0027_th.jpg[/img] While that dries, you can clip the wires on the cigarette lighter, and cut the cage in half. [img]http://georgebelton.com/335i.tech/ashtray/Ashtray_0031_th.jpg[/img] Once you have the cage cut, and any sharp edges ground down, slip the front part into the cigarette lighter hole in the ashtray, from the front. 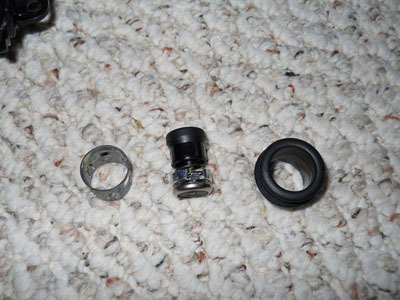 The cigarette lighter trim piece fits snugly into this cage. [img]http://georgebelton.com/335i.tech/ashtray/Ashtray_0032_th.jpg[/img] Now you can get the RLC test fit so you can make your knob. 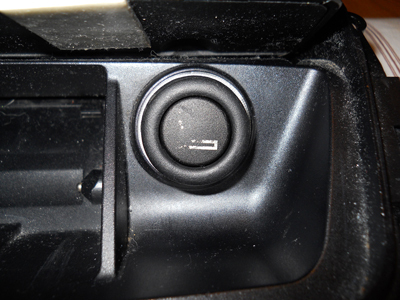 You can check from the front until you get the knob centered. 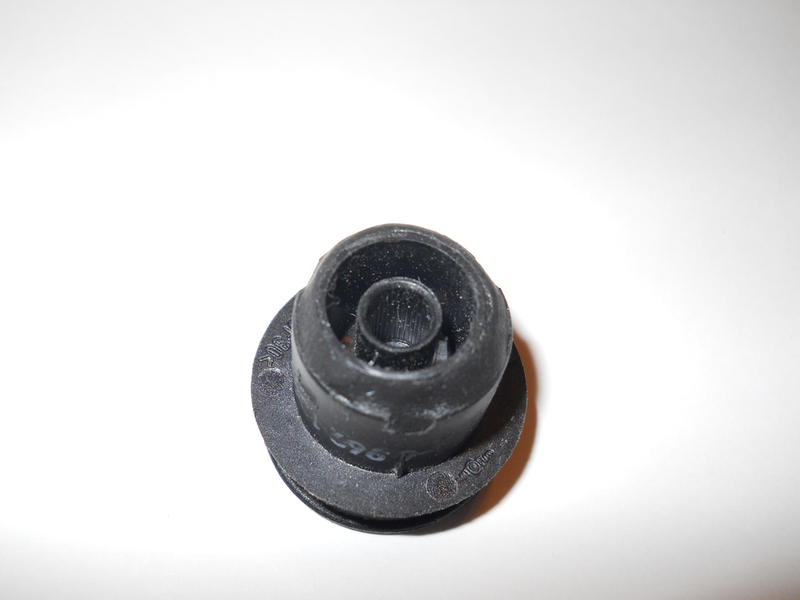 [img]http://georgebelton.com/335i.tech/ashtray/Ashtray_0034_th.jpg[/img] Now you need to get your knob assembly bonded inside the trim piece. With the RLC in place, you can test fit everything to ensure you get the knob assembly the proper depth inside the trim piece. [img]http://georgebelton.com/335i.tech/ashtray/Ashtray_0029_th.jpg[/img][img]http://georgebelton.com/335i.tech/ashtray/Ashtray_0030_th.jpg[/img] Make sure the sides of your assembled knob are smooth so it operates without binding. [img]http://georgebelton.com/335i.tech/ashtray/Ashtray_0028_th.jpg[/img] Once the assembled knob is dry/cured, you can start mounting the RLC. First, hold it in place with a bit of Sugru, or whatever bonding agent you're using. 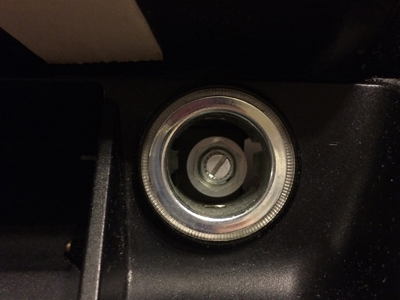 [img]http://georgebelton.com/335i.tech/ashtray/Ashtray_0033_th.jpg[/img] Get your assembled knob in place to center the RLC. [img]http://georgebelton.com/335i.tech/ashtray/Ashtray_0035_th.jpg[/img] Apply enough Sugru to keep the RLC in place, but be sure to keep the area where the LED goes clear. It shines into the clear plastic to light up the trim ring, so keep that clear too. [img]http://georgebelton.com/335i.tech/ashtray/Ashtray_0037_th.jpg[/img] Once everything is in place and dry/cured, you can re-install the LEDs and route your wires. [img]http://georgebelton.com/335i.tech/ashtray/Ashtray_0039_th.jpg[/img] Next you'll need to mount the ashtray assembly back into the center trim panel. [img]http://georgebelton.com/335i.tech/ashtray/Ashtray_0040_th.jpg[/img][img]http://georgebelton.com/335i.tech/ashtray/Ashtray_0041_th.jpg[/img] Back in the car, the first wires to connect are the ones at the front, by the ashtray. 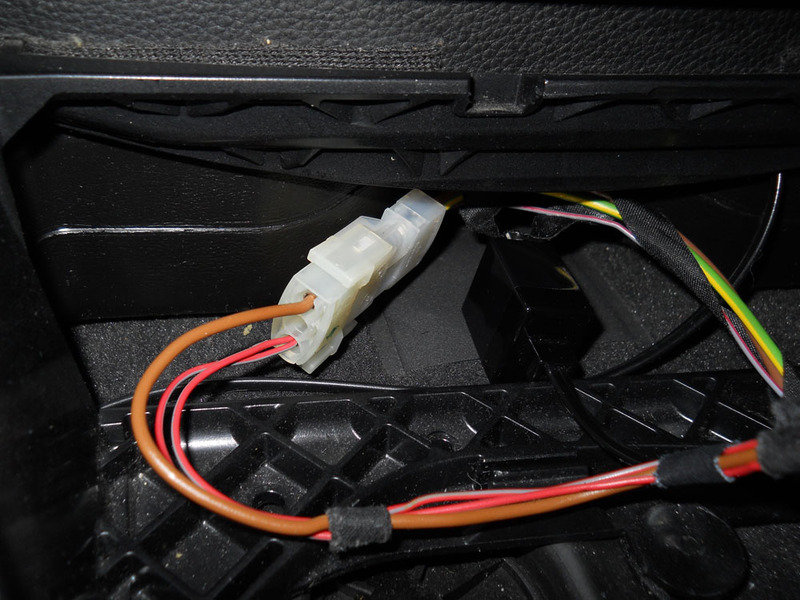 If you haven't already run the RLC wire from your amp to this area, I guess this is a good time to do that. [img]http://georgebelton.com/335i.tech/ashtray/Ashtray_0042_th.jpg[/img] Both of these connectors will tuck into this small area when everything is back in place. [img]http://georgebelton.com/335i.tech/ashtray/Ashtray_0043_th.jpg[/img] Next get the two shifter connections hooked back up, starting with the one with the longer connector. [img]http://georgebelton.com/335i.tech/ashtray/Ashtray_0044_th.jpg[/img][img]http://georgebelton.com/335i.tech/ashtray/Ashtray_0045_th.jpg[/img] Pat, and then shoo away, any curious lamp dogs. [img]http://georgebelton.com/335i.tech/ashtray/Ashtray_0050_th.jpg[/img] Getting back to the car, hook up the electrical connector at the rear of the trim panel, and then get the panels snapped back into place. [img]http://georgebelton.com/335i.tech/ashtray/Ashtray_0046_th.jpg[/img] Your cigarette lighter should now look something like this. [img]http://georgebelton.com/335i.tech/ashtray/Ashtray_0047_th.jpg[/img] And something like this with the lights on. [img]http://georgebelton.com/335i.tech/ashtray/Ashtray_0048_th.jpg[/img][img]http://georgebelton.com/335i.tech/ashtray/Ashtray_0049_th.jpg[/img] And that's all she wrote; enjoy your new stealth-mode RLC. You can find the full article with links to larger images [url=http://www.georgebelton.com/335i.tech/ashtray/index.php]HERE[/url].